Skellig author David Almond once said: ‘children need to read the best books by the best writers from all parts of the world… our children are missing out.’ Tintin, Heidi, the tales of Hans Christian Andersen, Asterix, Pippi Longstocking, Emil and the Detectives, The Moomins are amongst some of our most cherished children’s tales, all of which have been translated. Today, UK publishers are more determined than ever to translate unique stories from around the world for both children and adults alike. 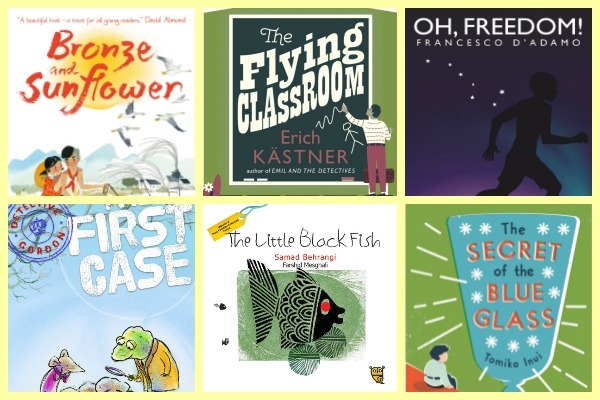 On Thursday 20th October the Marsh Children’s Literature in Translation Award shortlist was announced, featuring Francesco D’Adamo’s Oh, Freedom! (translated by Siân Williams, 2016) alongside five other titles. The longlist saw 27 entries in contention, representing a dozen languages from all around the globe. The event was at Mayfair’s Dartmouth House, and included a panel discussion with Annie Eaton (Penguin Random House), Gill Evans (Walker Books) and Sarah Odedina (Pushkin Press), focusing on the importance of bringing translated fiction onto children’s bookshelves. In its twentieth year, the literary prize recognises the important role translators play in opening up the world of literature to young readers. The award was founded to celebrate the best translation of a children’s book from a foreign language into English and aims to identify the high quality and diversity of translated fiction available. The winning translator is awarded £3000. To celebrate and promote this year’s award, the English-Speaking Union have opened My Marsh competition, which invites students to upload a video review of their favourite shortlisted title. Prizes for the competition include a subscription to The Week Junior, a copy of all the entries for this year’s Marsh Award, a discount voucher for a particular course or conference offered by the School Library Association, coverage of their entry in The Week Junior, and a £100 voucher for Browns Books for Students. You can find more information on the ESU’s website. The winner’s ceremony will take place on 25th January 2017 at Dartmouth House.